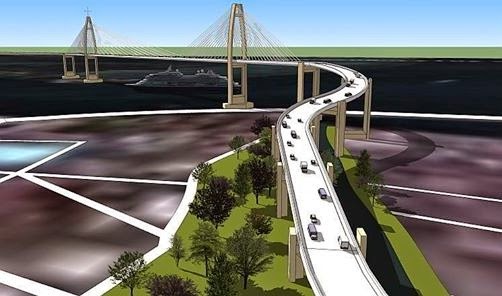 Cordova Mactan to Cebu City bridge with the budget of 15 Billion Pesos to be started early 2015. The bridge linking Cordova and Cebu City will ease traffic from two bridges in Mactan, Cebu. The 15 billion pesos toll-bridge linking Cordova and Cebu City will be started January 2015 by Metro Pacific Investment Corp. (MPIC) of business tycoon Manny V. Pangilinan. According to mayor that two bridges in Mactan has 86,000 vehicles and increasing. This bridge will give way to those who are bound to Mactan Cebu International Airport. MCIA is the most busiest airport outside Manila.